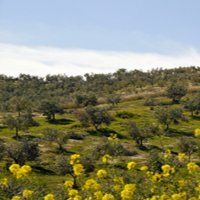 Spanish people in Southern Spain are great, and this article is my experience with them. 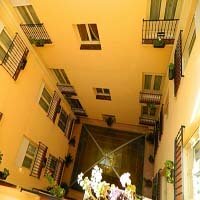 I spent the most amount of time in Seville and this is where I draw my experience from. 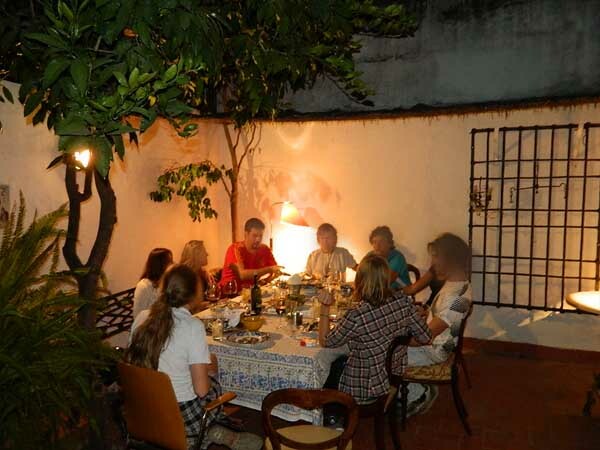 I find the Spaniards to be friendly, outgoing, proud, boastful, wonderful people to be around. Spaniards, like most people, are complex and not easily able to shoe horn into one little box. For example, the southern Spaniard is extremely friendly yet this does not mean strangers are going to be overly polite on the street. With that said, I have asked strangers for directions and when they realized I did not understand them they would take me by the arm to my destination. However, don’t expect a southern Spaniard to say I am sorry. I have spent a lot of time in Spain and I have never ever heard the words “lo siento” uttered. Once, while waiting for my breakfast at a local café counter, the waiter brought my toast out to me and dropped it right before putting it in front of me. Does he say sorry, heck no, he just gets me another piece of toast quickly and goes about his business. It might have been rude in some cultures to not have apologized but his behavior was very acceptable in southern Spain, he made a mistake, he fixed it promptly, no need to for wasted apologies. It is almost refreshing to not hearing people apologize for something they are not really sorry for nor have to say thank you for things that should be expected. Fun times: Southern Spaniards know how to party. While most of the Christian world spend one day celebrating Easter, Spain dedicates an entire week to it. While most of just celebrate Christmas on December 25th, the Spanish people stretch this holiday out to celebrating 3 kings on January 6th. Social gatherings: It is extremely common to go to a party until 3, 4, or 5 in the morning. Most parties/social gatherings may not start until 10:00 or 11:00 at night. The Spanish like to drink but it is my experience that they are fairly moderate in their drinking. They may drink all night but they don’t get crazy drunk. Also, it is not overly common to entertain at home due to homes being much smaller than say North America. This is one reason you see so many people out and about on the street. Adjust your clock: Spanish people work on a different clock than most people. Since they go later into the night they start later too. Once I had to wake up somewhat early because our school was taking a bus trip from Seville. I could not find a café open before 8:00 a.m. for the life of me. Finally I found one that was a 24 hour café. Also, you will find that the Spanish set their clocks so that the sun does not set until 9:00 p.m. or later. 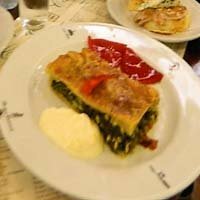 Adjust your eating habits: The Spanish people eat later than most with lunch starting around 2:00 in the afternoon and dinner starting around 9:00 p.m. or later. 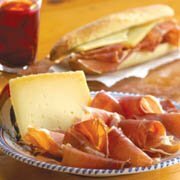 Typically the locals have a light breakfast of toast with olive oil then a merienda or snack somewhere between breakfast and lunch. Lunch is the biggest meal of the day that usually requires a little nap/siesta…yes they really do take them. Speaking of siesta’s… Life is slower in southern Spain. Don’t expect the person at any cashier to be in hurry but you will notice that neither are the people in line. Grabbing a quick bite to eat does not exist. If you sit down at a table at a café the waiter is in no hurry to get to you. Most times you even have to call him over. Don’t you hate when restaurants bring you the check before you are ready. Don’t worry that won’t happen in Spain. Tranquilo, relax you might even hear people say that to you, I sure did. Punctual: They say there are only two things that start on time in Spain and that is the Bull fights and the Ave Trains. If you are invited for dinner from some Spanish people be sure to clarify the time. I often say to my Spanish friends when they say “let's meet at 9:00 o’clock” I usually have to ask “Spanish time or American time” otherwise you end up waiting at a restaurant for 30 minutes or more or may arrive at someone's house before they have even put the tortilla Espanola in the oven. Of course I am saying this in general, there are lots of people that are punctual and some people like many of my Spanish friends that are familiar enough with my own culture to know that if they tell me to arrive at 9:00 I will be there at 8:55. Flamenco: I have other sections dedicated to Flamenco but it has to be mentioned as it is a major part of southern Spain culture. You will hear a lot of Flamenco music in and around the south of Spain. Its music and dance are guttural, passionate, and comes from the Spanish soul. This may be why I don’t get it…ssssshh.... don’t tell anyone because it could cause to me to get flogged in some circles. It has to be experienced though as it may grab you like it does most people. If nothing else both the men and woman who perform are beautiful to watch. Pride: The Spanish people are very proud. How could they not be, they darn near ruled half the world for a while. Also, look at their heritage, cities that date back 3000 years, Phoenician, Roman, and Moorish ruins under ever rock- they have a lot to be proud of. The southern Spaniards are not perfect people but their strengths outweigh there weaknesses and I find their cultural ways very refreshing. Just remember when traveling to have an open mind. You are in Spain to learn about a different culture and if they do some things different they are just that different not wrong. Tranquilo, relax and embrace the southern culture.